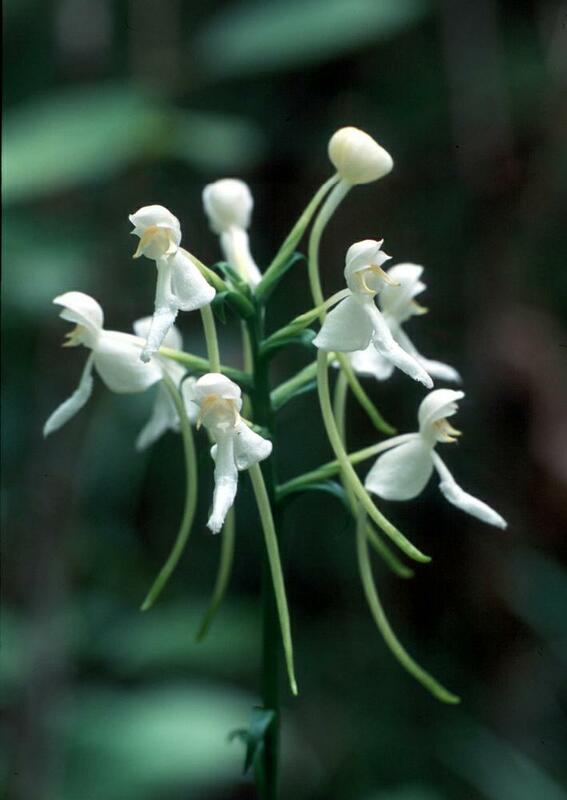 Platanthera integrilabia, commonly called White Fringeless Orchid, has a limited distribution in the southeastern United States, from Mississippi to Kentucky. 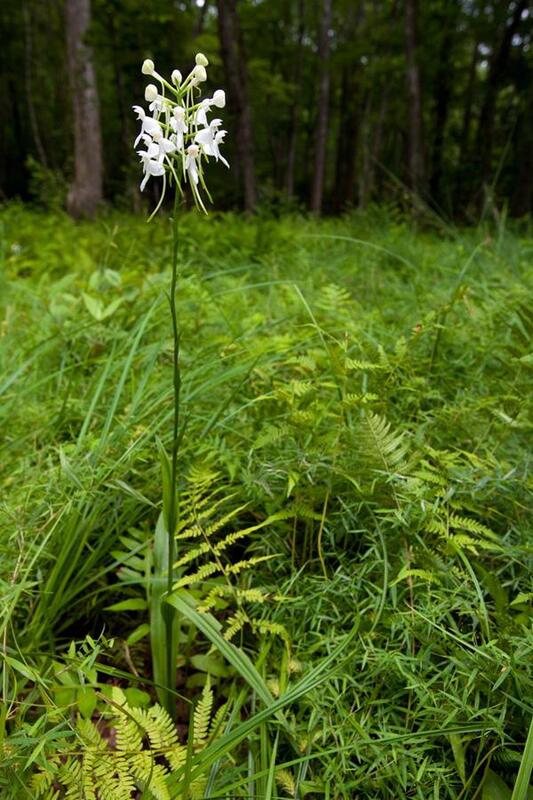 It has 2 (or rarely 3) leaves on the bottom portion of its stem, and produces a loose inflorescence of up to 20 showy, white flowers. 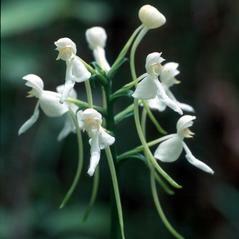 The labellum is entire (lacks any fringing) and a noticeable, elongated spur extends from the back of the flower and curves slightly forward. 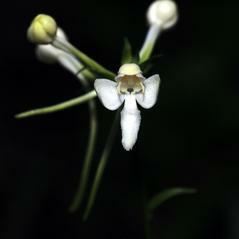 The flowers are usually sweetly scented at night. 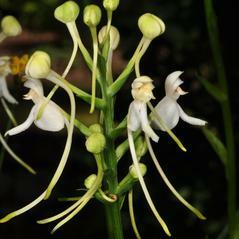 It can be distinguished from other Platanthera species by its white flowers and the absence of any fringing on the labellum. 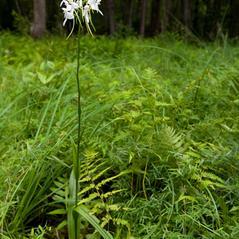 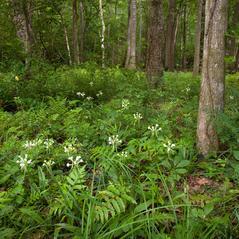 It can be found growing in moist woodlands, especially near streams, and in marshes and bogs. 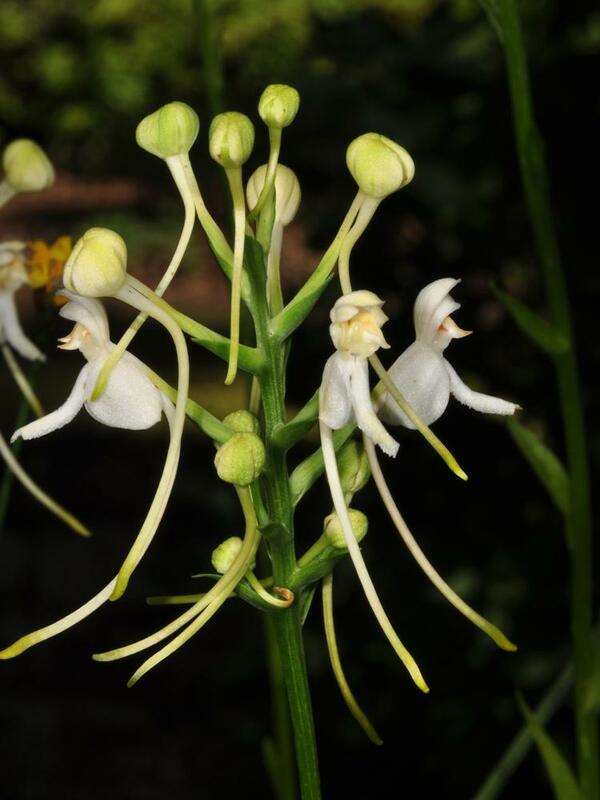 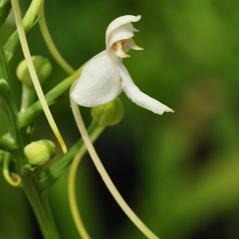 Platanthera integrilabia is considered globally imperiled and is listed as federally threatened and is rare or presumed extirpated throughout most of its range. 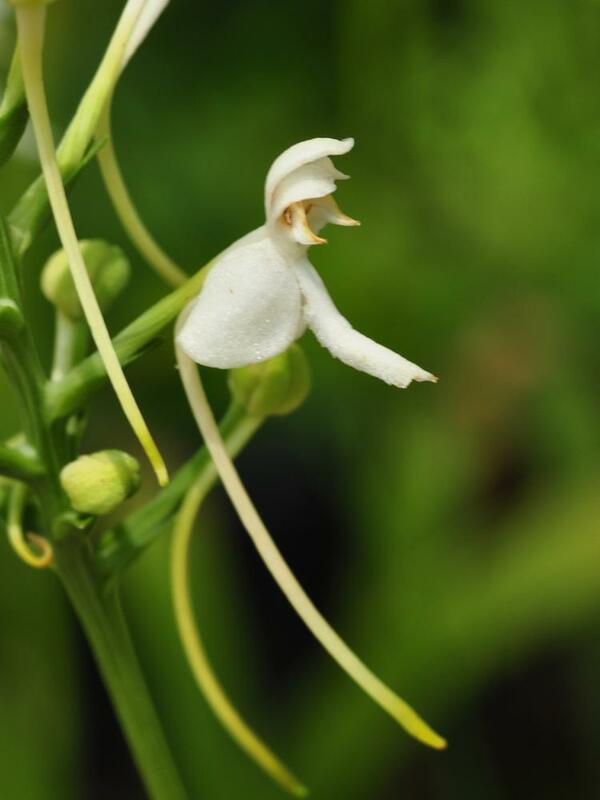 This orchid is pollinated by butterflies including Epargyreus clarus, Papilio glaucus, Papilio troilus and may also attract nocturnal moths with its fragrance. 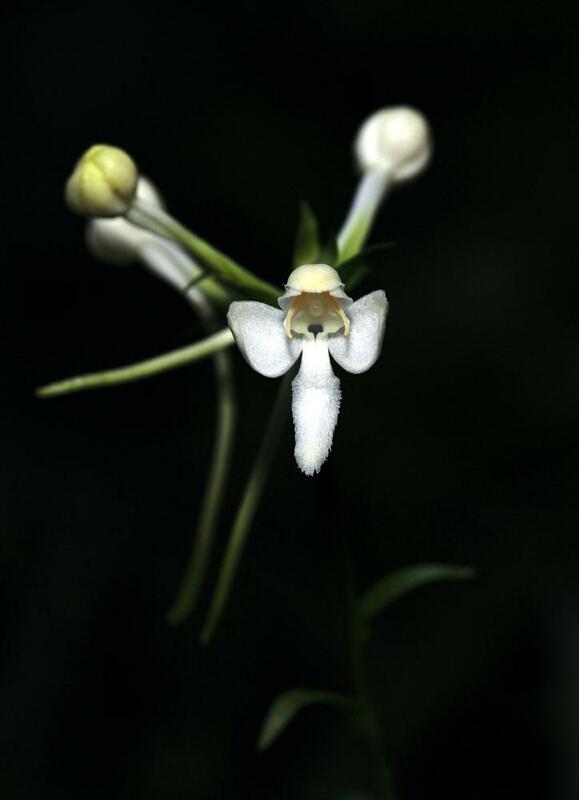 The efficiency of the butterflies observed visiting this orchid was low, requiring multiple visits for pollinaria to attach to the compound eye. 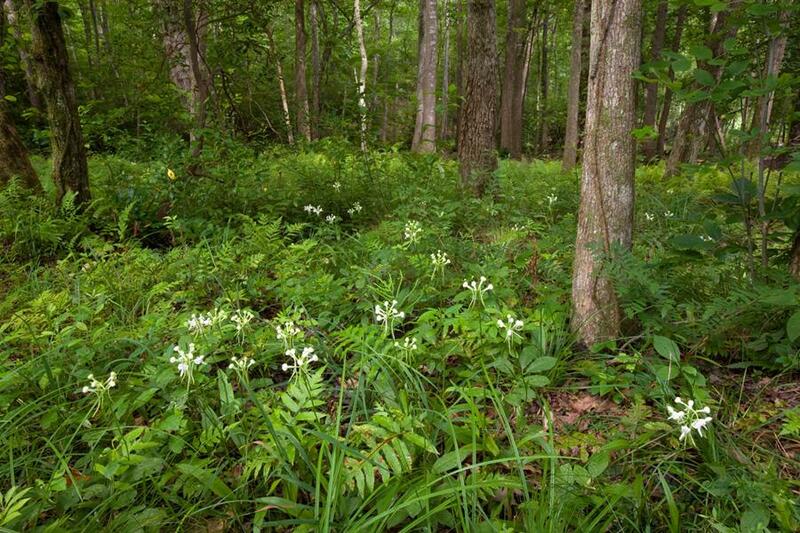 The spacing of insect compound eyes impact the efficiency rate of the pollinator, those with a greater distance between compound eyes are more efficient at removing pollinaria.